We are the UK’s paramount NLP Training & Coaching Company. We train in and work with established and proven techniques in Neuro Linguistic Programming, Time Line Therapy™, Hypnosis and NLP Coaching to help you unlock and achieve the highest level of excellence that is already within you or your business. IE specialise in the following so you can be who you want to be, do what you want to do and have what you want to have in life. Remove barriers and optimise your potential. IE specialise in the following in-house business solutions to maximise communication and increase effectiveness, performance and sales so you can improve your bottom line. Please see our open courses to see what is available. All courses and modules can be run in-house. 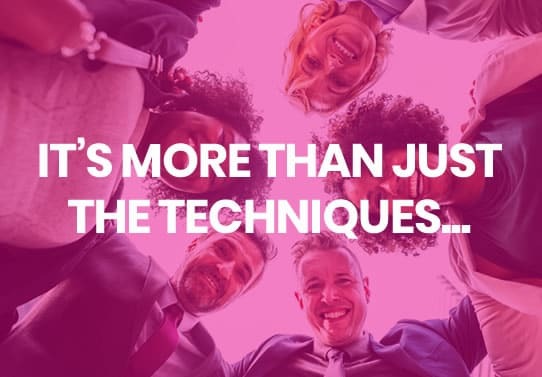 Learn and work with a Master Trainer, who has trained and worked with one of the best in the field – Dr Tad James, Master Trainer of NLP and creator of Time Line Therapy™. Small groups guarantee that you get the right support and attention to get the results you deserve. Be able to immediately use the latest information and techniques you learn. Combine Time Line Therapy™ and Hypnosis with NLP and NLP Coaching for truly powerful results. Save time and money with Infinite Excellence’s accelerated programmes. Gain 4 international certifications at the Practitioner and Master Practitioner’s level. Have lots of fun while you learn.